Successfully Added All-in-One Oceanic Study Set - Divers Camera + LCD screen + Case to your Shopping Cart. An excellent item for Marine Biologists, Marine Engineers, fisherman, scuba divers, plumbers and over all water enthusiasts. 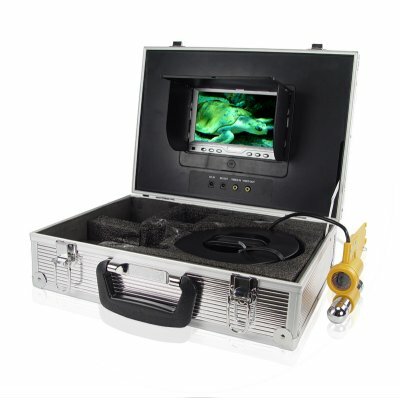 This All-In-One Oceanic Study Set come complete with a 7 inch LCD TFT screen, high resolution water-proof scuba divers camera and 20 meters of optical transmission wire all included in a sturdy and portable metallic case. Power can easily be supplied for the screen and the camera using the included power adapter from a mains power outlet. Just imagine going out on the boat, diving underwater with the camera and having the passengers View underwater images like never before. Chinavasion's direct shipping can bring this great wholesale import item right to your door..